So this post is about a week later than I intended. Last Monday my plan was to pick my beautiful fiancee up from work, then to come home and cook her a nice meal followed by a delicious dessert which we could enjoy out in the sun. Unfortunately her plan involved falling off a bench, breaking her wrist, and setting off a chain of events that meant several trips to A&E, numerous doctors, and one overnight stay in Ward 1. The poor girl. Poor, silly girl. Anyway, needless to say it's been a long and busy week. 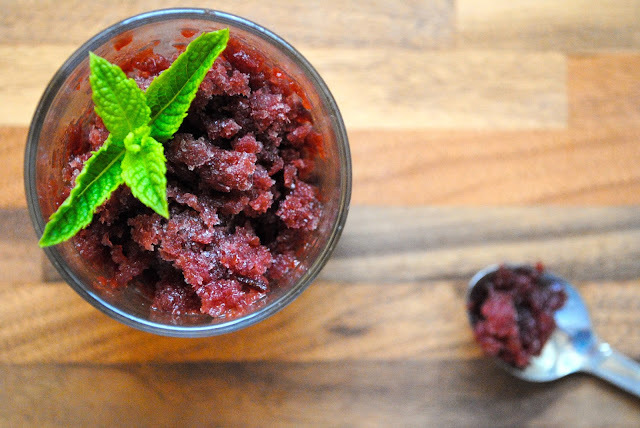 Thankfully, this recipe is a quick and easy one - a perfect Summertime dessert for me to treat my little cripple with. Even if it was a week late. When I say this recipe is an easy one, I really mean it. I think I took more time pitting these cherries than doing much of anything else. (Chef's tip - before chomping down on a cherry read the tin to find out if they contain stones or not. I'm still looking for my left rear molar...) Start by separating the syrup from one tin of cherries. Add to the syrup two tablespoons of sugar and the juice of a lemon then stick on a medium heat for a minute or two until the sugar has dissolved. For the espresso element I added a tablespoon of filter coffee to the syrup and then brought the mixture to a boil for a couple of minutes before straining through a coffee filter. 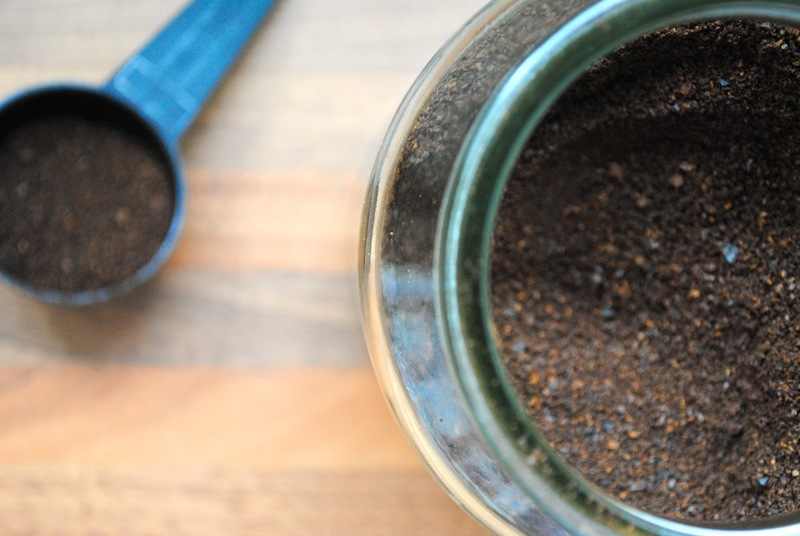 This will give you a great rich coffee taste without any of the little grainy bits. If you're feeling a bit lazy - which I totally condone - then I'm pretty sure any old instant coffee will do the trick. Add the strained syrup to a food processor along with the pitted cherries and blitz until you've got a smooth-ish liquid. Pour into a bowl or cake tin and bang it straight in the freezer trying your darndest not to spill sticky cherry liquid all over your frozen chips and peas. After 30-40 minutes or so pull the mixture out of the freezer and rough it up with a fork to prevent ice crystals from forming. Throw it back in the freezer and repeat the process every 40 minutes or so until you're ready to eat. Job done. Told you it was easy! Spoon into a glass, add a sprig of mint (purely for artistic purposes) and go to town on your chill and refreshing cherry espresso granita. It doesn't get much better.